Describes the different Extended Type III Audio Types. 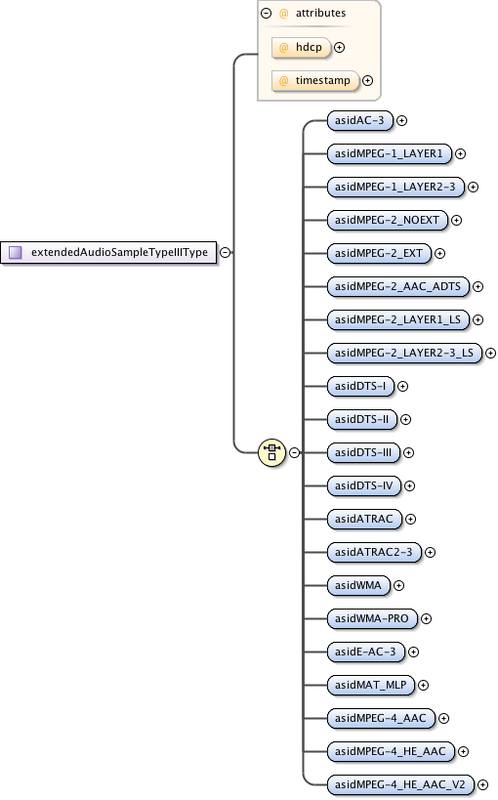 Indicates whether the AVData Entity supports the HDCP Protocol for this AudioStream Configuration. Attribute is placed here because only Extended Audio Types can support the HDCP Protocol. 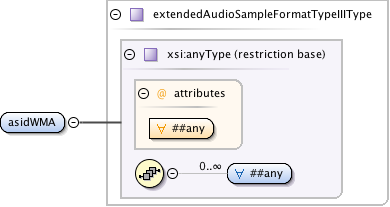 Indicates whether the AVData Entity supports the Timestamp Protocol for this AudioStream Configuration. Attribute is placed here because only Extended Audio Types can support the Timestamp Protocol.